One API with global reach – that’s our mission as we continue to expand capabilities around the world for you to reach customers wherever they are. Today, at Mobile World Congress, we announced expanded messaging capabilities in six new countries: Australia, Austria, Estonia, Hong Kong, Lithuania and Switzerland. Starting now, sign up for the beta of these messaging-enabled numbers. These expanded messaging-enabled numbers allow you to send and receive text messages with local mobile numbers. Whether you’re sending a message locally, or from Austria to Australia, rest easy knowing they’ll be delivered quickly and reliably through our network of in 198 countries. Numbers in Australia, Austria, Estonia, and Switzerland are enabled to send and receive messages internationally to 198 countries. Lithuanian and Hong Kong numbers are currently enabled for domestic traffic only. Companies like PayByPhone and Uber are already using international messaging to grow their business and deliver amazing experiences to customers. 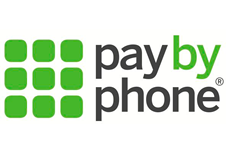 PayByPhone, the leader in mobile parking payments, uses Twilio SMS to give their customers an easy way to pay for parking on the go. If a customer’s meter is running low, they’ll be alerted via text, and can easily pay for parking through PayByPhone’s mobile app, without having to run back to the meter and fumble for change. As PayByPhone is launching in new international markets, they rely on Twilio to make sure texts are sent successfully, & at scale. Uber delivers high quality, on-demand transportation at the push of a button. After launching in the states, they’re rapidly expanding internationally and using Twilio SMS to keep drivers and customers in constant contact. Uber depends on Twilio to ensure customers are alerted via text the instant their car arrives, in any market, stateside or abroad. “With Twilio, messages are delivered very reliably which has helped us scale as we grow as a company,” said Curtis Chambers, Manager of Engineering at Uber. We are accepting customers into beta now, sign up here. We can’t wait to see what you build.